Kristi Mailloux, President of Molly Maid, published an article discussing Domestic Violence and the Ms. Molly Foundation. Have you seen evidence of injuries? Have you accepted her explanations for her black eyes, bruises or broken bones? Does she miss work frequently? Does her partner show an unusual amount of control over her life? Have you noticed changes in her or her children’s behavior? Does her partner embarrass or ridicule her in public? Does her partner blame her for the way he acts or the things he says? Danessa Itaya, co-chair of the Ms. Molly board of directors was interviewed for an article in the October 2011 Metlife e-newsletter, Outlook on Benefits by Tom Starner, a freelance writer with Human Resource Executive. 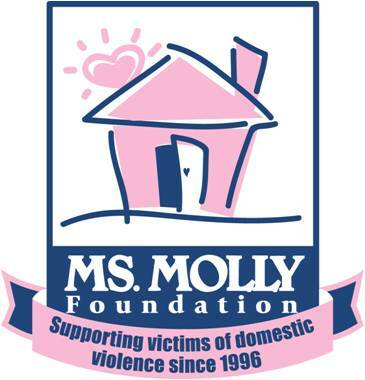 Molly Maid is a national cleaning franchise that supports the Ms. Molly Foundation, a non-profit charity that provides assistance to local domestic violence shelters and organizations nationwide. According to Danessa Itaya, many Molly Maid franchisees chose to support the system-wide cause after witnessing the prevalence of domestic violence among their own employees. “This was a cause that really resonated with the entire company,” notes Itaya, adding that when the foundation was looking for a cause to support, it saw that families affected by violence was a major issue, and one that directly affected the Molly Maid workforce, who are primarily women. 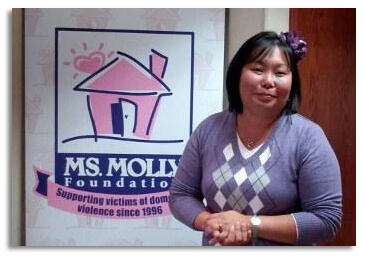 Danessa Itaya also appeared in an article about the Ms. Molly Foundation and Molly Maid’s efforts for Domestic Violence Awareness month on Examiner.com by Domestic Violence Examiner, Nancy Koerner. Domestic Violence Awareness should not just be limited to the month of October, and one particular corporation has taken responsibility to go the extra mile. Molly Maid is affected by the same statistics as everyone else — one in four women will be victimized by domestic violence in their lifetime. Even Molly Maid has experienced DV-related deaths within their own ranks. In 1996, the Ms. Molly Foundation launched their effort to make a difference. Corporate HQ began to provide assistance to local shelters and invited their franchisees to do the same. As a result, local drives are now held in over 100 locations all over the country, not just in October for Domestic Violence Awareness Month, but throughout the entire year. Donna Reilly, owner of Molly Maid of Central Anne Arundel County, appeared in an article at the Edgewater-Davidsonville Patch. Throughout Anne Arundel County, we are working with our customers to raise monetary donations, personal care items and gift cards for the YWCA Arden House, which provides victims with shelter, counseling and legal services. Since we became involved with the Ms. Molly Foundation, we have raised more than $35,000 in goods and services. While the month of October is extremely important to us, our efforts don’t stop there. Throughout the year, we clean the Arden House weekly to give sheltered women a place they can call home that is clean, organized and comfortable. Furthermore, we donate a portion of every cleaning fee to the Arden House to help with year-round expenses. Some houses need to be cleaned with tender loving care. Molly Maid and the Ms. Molly Foundation, with the help of people like you, are making a difference in the lives of women and children who have been victimized by domestic violence. The Ms. Molly Foundation is a 501(c)3 organization, and your gift is tax-deductable. Does your company have a matching gift program? Ask your Human Resources Department for more information or for the appropriate form to complete to double your donation to the Ms. Molly Foundation!